We all have heard to be leery of African governments–a true enough statement, but here’s the catch. The governments run the schools. What we all care about is that children have access the basic right to education. Quality of education is the question. 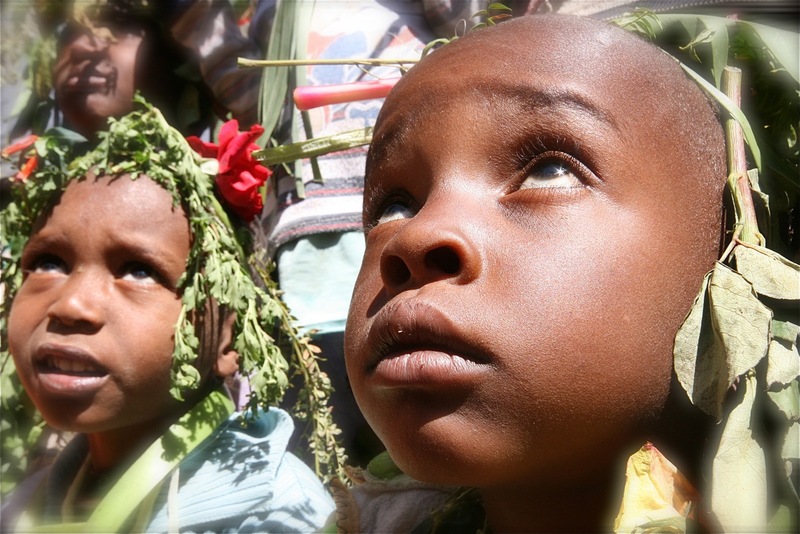 The Tesfa Foundation has focused on providing early childhood education: catch them when they are young and make an impact before something less desirable finds them. When The Tesfa Foundation was founded 8 years ago, the government did not provide any educational options for the youngest age group (4-6). As of this year the government does (in a limited, start-up way). So the question remains, does it make sense to try to partner with the government to help them serve this age group? I do not have answers for you but I can tell you what I experienced. I arrived at Addis Tesfa on a beautiful sunny December day, ready to provide an art experience for 120 children. What? 120? Kindergarteners? I thought, I might be out of my league here, but they are planning on me and I cannot disappoint 120 precious little ones, can I? We were able to fit all the children comfortably in one room, all 120. In a government school this was possible? 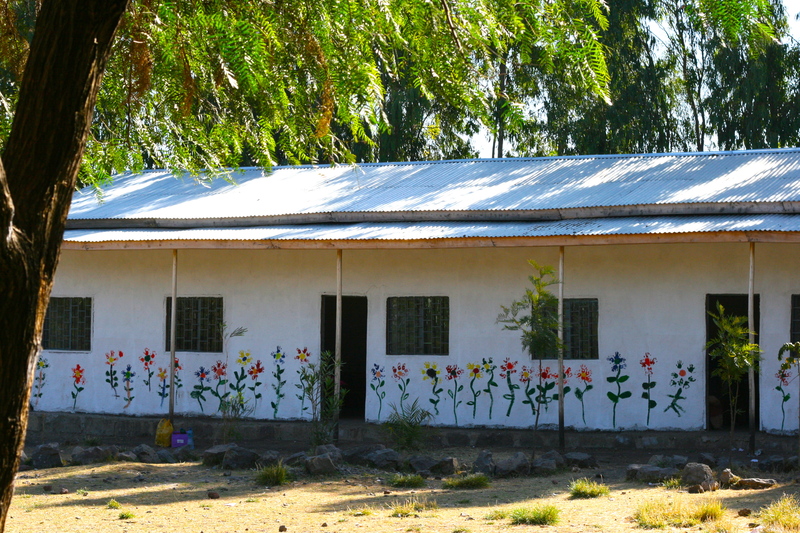 Yes, thanks to the Ethiopia Reads beautiful new library we were all able to gather together. This is not typical at all of a government school, making organizations like Ethiopia Reads so valuable, even necessary. The theme of the day was flowers. Flowers were chosen to honor Noel Cunningham, a dear one who passed just before my visit to Addis Tesfa and who the library at this school was dedicated to. Flowers are also something the children are familiar with and that their city Addis Ababa (translated as New Flower) is named after; that allowed me to tie in some history and cultural pride. We started with a little song and dance to warm the kids up and break down any inhibitions they might have. These kids had never had an art lesson before, and I wanted them to feel open and excited about this experience. Then we sat at our desks to draw our first flowers in color, and I quickly saw some students had honored their need to create and had been exploring drawing with their pencils. I knew this because some of the drawings were so advanced. After our warm-up in the library we broke up into groups. Before I move on… I don’t think I have mentioned how much fun we are were having by now. Pure joy! We did two main art projects rotating the children by groups. Some sang and danced in a circle while waiting their turn to paint. Four large canvases were set out on the lawn. Each canvas had enough room for 5 students at a time to work on it. Each child got a plate of paint and a brush, and they worked together until the canvas was covered in five different shades of paint. Then rocks and leaves were used as stamps to create flowers over the under-painting. By the end, the children had the sense of accomplishment that comes from working together and a new beautiful painting to decorate their library. 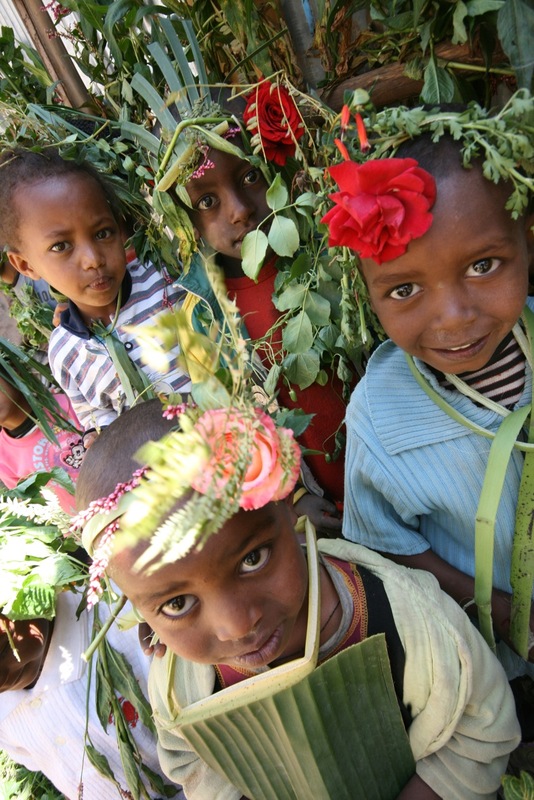 Meanwhile, inside the library, a local Ethiopian artist named Aklilu was working with the kids on a flower project where children became the “canvas.” They used flowers and plants from what they found outside the school to turn themselves into beautiful flowers. The idea was to get them to think about the things around them every day that they can create with. They don’t have to wait for art class to be creative. All one needs is imagination. We gathered back in the library when our art was finished, and the children showed off their beautiful new space to me. We had them chose books and it was beautiful to watch their attention become absorbed by the magic of books. One child proudly showed me his new library card, complete with a sweet little picture. The librarian was beaming with pride as the children were so obviously enjoying this special place. This experience did not nicely wrap-up the government partnerships vs. donor-supported school debate for me. There were older children aggressively trying to take our supplies and encroaching on our space, making me wonder about whether kindergarten children should be in the same school as these older children. The quality of things outside the library walls had so much to be desired. Basic sanitation being at the top of the list. I am used to, and perhaps spoiled by working in Tesfa schools. Our teachers are so well trained, this I can’t stress enough. We have training systems in place and–a real luxury in Ethiopia– we have staff loyalty. People who have been with us for years and understand the importance of quality control. Most important we have given our staff pride in what they do and it shows. The schools are clean, and safe. 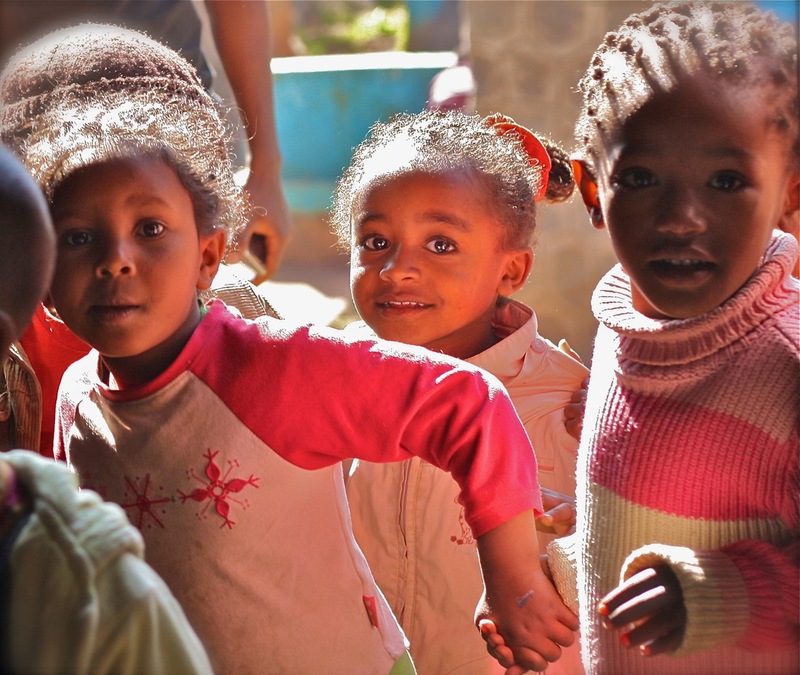 In Tesfa schools the little ones have the safety of being the only kids in the school and know they can count on no older aggressive bullying, an important issue in a country that has typically operated in a very top-down way. For me the debate is still on the table as to how we fit in with these new government kindergarten programs. There is no doubt that the organization that I have been a part of for 5 years now, The Tesfa Foundation, runs a far superior school to ones run by the Ethiopian government. On the other side of the coin, do we really want to leave children in government schools to fend for themselves? Where can we have the most impact with limited dollars and staff hours in 2012 and beyond? It was just before noon. My friend, Melissa Timmer and I were joined by some of Tesfa’s best staff. We had packed our mini bus full of art supplies and headed towards the small town of Dukum, which was supposed to be about a 45 minute drive from Addis Ababa, Ethiopia’s capital city. As soon as we reached the city’s outskirts, our driver slowed down suddenly and veered towards the side of the road. One of our tires had gone flat. During my six years of working in Ethiopia, I’d witnessed this sort of misfortune fall on many others who braved these unpredictable, rough roads…but it had never happened to me. We were going to be late… And what if we didn’t get the full two hours we’d been allotted to paint a mural–with students who had never even had an art class before? A monumental change had happened in Ethiopia since my last visit a year ago. For the first time in its history, the government was providing preschools and kindergartens, where only NGO like Tesfa, and expensive private schools had before. This recent development has forced Tesfa to evolve, as we’ve started re-evaluating strategies to figure out how we can continue to best serve this age group. Because the new government programs seemed less than ready to handle the responsibility of educating children during these crucial years of their development. And that is how I found myself headed to a government-run school in Dukum that day. The school was part of a pilot program, where Tesfa partners with the government to help improve the quality of education it provides. So, it was with curiosity and apprehension that I entered that huge, crowded Ethiopian public school. The children we met there were as sweet and adorable as any. Their big eyes sparkled with anticipation and wonder when they looked at us–the foreigners carrying such a complex rainbow of colors. We fell in love with them right away, which can be an occupational hazard when doing this kind of work. Like the flat tire that kicked off our journey, there were complications from the start. 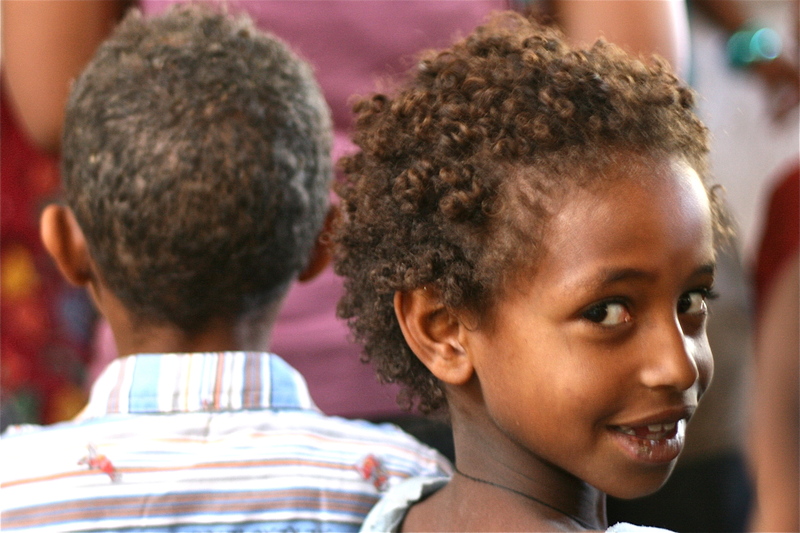 The children only spoke Oromo, but our translators only spoke Amharic and English. We were losing precious art class time, so we had to think quickly. One of the teachers there spoke Oromo and Amharic (but not English, of course) and agreed to stand in as a second translator. As I watched our words turn from English to Amharic to Oromo and back, I wondered what all might be lost in these interpretations, but we pushed on. Fortunately for us, art is its own language. The students and I were able to create together, and that was the important thing. It filled me with such joy to witness the children working with paint for the very first time. Like all children, they dove in with an uninhibited gusto that always makes me smile. Unlike most adults, children don’t really care if they’re “doing a good job” or not, they simply enjoy the process, which is something that never ceases to inspire me. After the children had warmed up with individual paper paintings, it was time for us to move outside and create a mural on the school. The children were confused at first, never having done anything like this, but after they smashed their little hands into the paint and stamped them on the wall for a while, they seemed to get the hang of things. I watched bright smiles flash over their faces as they began to discover that they were creating flowers with their little hand prints. It wasn’t long before we were surrounded by the whole school. The older kids soon started to push in and were getting a bit aggressive, and the other teachers were of little help in keeping them out of the way and out of our supplies. They seemed to be just as fascinated with our project as the older students were, so I suppose they must have forgotten their supervising duties for the moment. Everyone seemed very pleased with the children’s mural when they finished. The headmaster was especially enthusiastic. They all asked us when we’d be back, and I would’ve loved to answer, “next week!” but I couldn’t. Our time in Ethiopia was limited, and we still had many places we needed to go. For now, I’m comforted by the fact that 65 kids now know that such colorful paint exists, and that they can create art with it. They’ve created a permanent reminder of this lesson, and that mural is now the brightest part of the school. I had done what I’d gone there to do, and I left with a huge smile on my face, and a refreshed determination to continue helping them in the ways I can–even with my limited staff and home on the other side of the world from them.